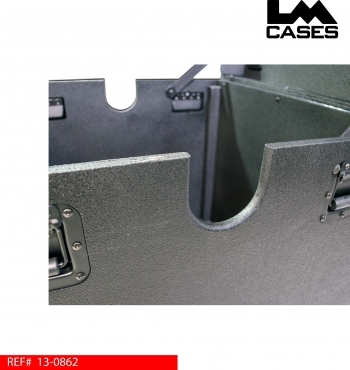 This case was designed to hold custom fly loom cables for line array speaker hangs. The cables can be pulled from the case with the lids closed for easier unloading. 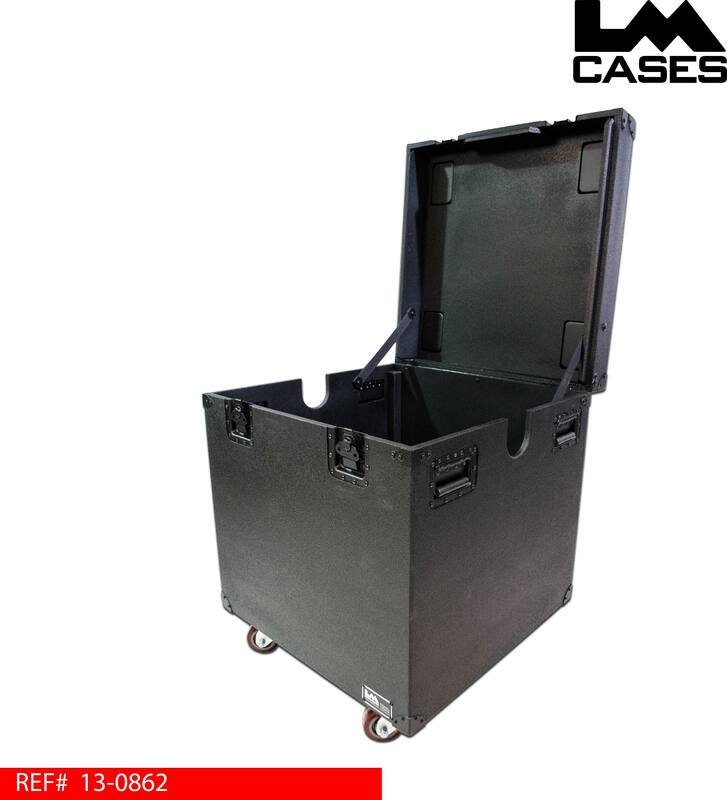 The case is built out of 3/4" Baltic Birch and features all black powder coated hardware, 4" x 2" Colson casters, rounded cable cut outs and is finished in black texture coating. The exterior dimensions are 30" x 30" allowing you to fit 3 across in a 90" truck. 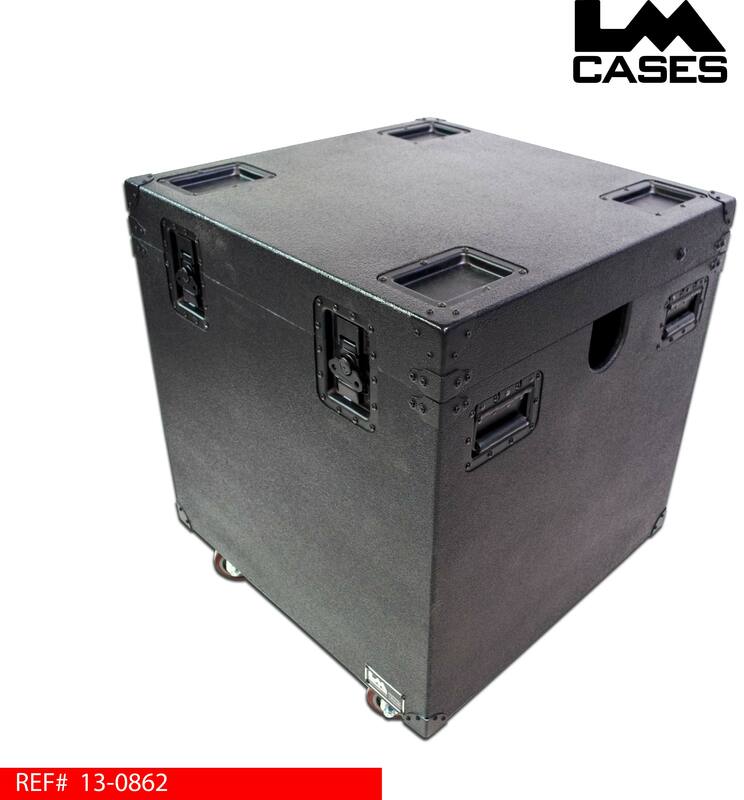 CLICK HERE to purchase this trunk from our online store.